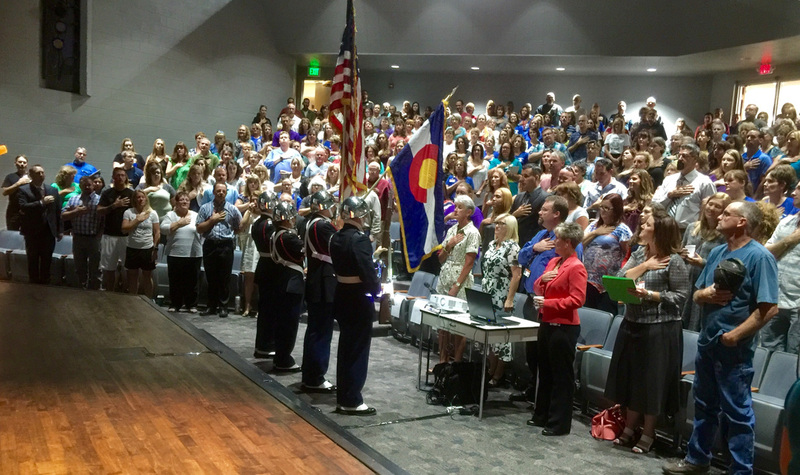 Cañon City Schools kicked off the 2016-17 year with the presentation of colors at its all staff gathering last week. DHS staff members dropped off much needed school supplies at the district office! This year our partners at the Fremont County Department of Human Services were kind enough to conduct a back to school basic school supplies drive. Last week the team stopped by our district office to drop off quite a few boxes that will make their way out to schools to support children who weren't able to afford all the items they need to support their learning throughout the year. I want to offer a gigantic thank you to Stacie Kwitek and her team for doing this! At our all staff gathering last Monday the Cañon City School District was treated to a presentation by Fremont County Sheriff Lieutenant Brent Parker on the eight criminogenic factors. Criminogenic factors are those life circumstances which are most likely to cause a person to exhibit criminal behavior. These factors include engaging in thinking like a criminal, having friends who continually engage in criminal behavior, mental health disorders, family disfunction, substance abuse, lack of employment, low level education (especially being unable to read), and poor use of leisure time. Why did we have Lt. Parker present this information to all CCSD employees? It is clear to us that a key difference maker when it comes to children who exhibit criminogenic behaviors is how well their school system responds to their needs. 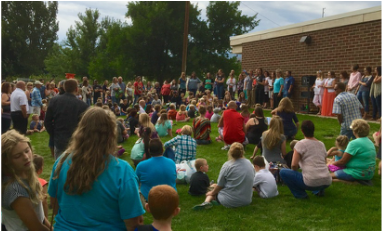 In the Cañon City School District our key purpose is to provide our children with learning for life. This means, hopefully, a life lived outside of the criminal justice system. We know we can positively effect whether or not a child can read. We work hard every day to make sure our children learn how to make positive use of their leisure time. We can identify and react to such factors such as substance abuse, mental health disorders, dysfunctional family behavior, and student association with friends who engage in crime. I want to take a moment to thank Lt. Parker for making this presentation and helping us all understand just how important the work we do everyday in our school system is to our greater society. 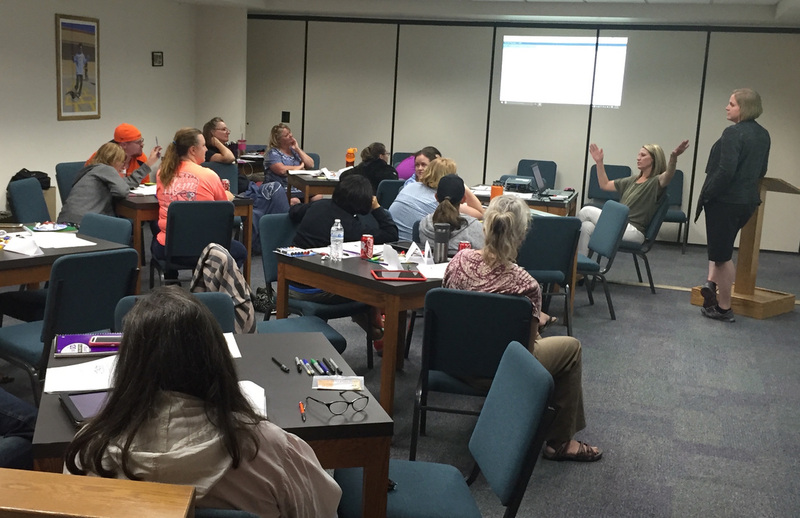 While most CCSD folks were enjoying their weekend, a dedicated group of staff members and administrators were attending DIBELS assessment training. I want to take a moment to thank technician Hunter Dean-Moore for the fine work he has been dong all summer after our loss of the full time services of Roger Tuttle due to retirement. Hunter has led the effort at the building level to get all old, and many new devices ready for the school year, has overseen a significant software update, has supervised several student technology workers all summer, and has taken on a significantly larger role in the department at a time during which we have been a bit shorthanded. I also want to thank the cadre of teachers, instructional coaches and administrators who gave up precious personal time on Saturday to attend DIBELS test training. Each year we rely on DIBELS assessment results to determine at what level students are reading in relation tot eh requirements of Colorado’s READ Act. I also want to thank all our staff members, both classified and certified, for all the work they put in to welcoming students and parents back to school this year by staying late for various evening back to school events. It was great to see the parents and students seeking out their classrooms, dropping off supplies, and learning more about the effort each school is making toward improving student academic outcomes. The entire district has chopped in, working hard to get new learning resources in the hands of students. Our effort last week centered on getting school buildings ready to serve all children. We opened doors Thursday to students in grades K-9 for half-day, then grades K-12 for full-day instruction on Friday. Prior to this, staff participated in district and building level professional development processes, and then had time to prepare classrooms for students. Professional development efforts I am extremely excited about include Cañon City High School staff’s work to establish pathways professional learning communities. This was accomplished by allowing teachers to self identify strengths and interests, and to advocate for where they might fit best in a pathways system. CCHS principal Bill Summers worked to balance each PLC to where core subject area teachers were present in every pathway. This was great foundational work. On another front, I very much appreciate the hard work people throughout our school system have been doing to prepare our K-5 teachers to implement new Journeys literacy materials. From department and school secretaries, to warehouse folks, to district and building level administrators and classroom teachers, everyone has worked to provide and attend professional development. Most importantly, all have helped to put these resources in the hands of students. One group key to this effort is our team of newly hired literacy coaches, heretofore known as “LT90X” (literacy team, daily 90 minute instructional blocks, also offering extreme intervention through Lindamood-Bell). LT90X has been hard at work communicating with teachers about new literacy block requirements, delving into student achievement data to support the establishment of appropriate small reading groups, and planning on how to best support teachers in the instruction of our new literacy materials. On Monday we welcomed all staff members back for the 2016-17 school year. On Tuesday I attended part of our new classified staff member training event, and then made rounds to the Lincoln back too school smoothie party, the McKinley ice cream social, and the CCHS town hall meeting. On Wednesday I made my way around to several of our buildings to check on preparations for the first day of school and conducted a lot of office work. That evening I attended the Washington back to school hot dog dinner, and Harrison’s open house barbecue. On Thursday I attended my first Early Childhood Leadership Commission meeting. On Friday I met with board member Shad Johnson over breakfast, visited Cañon City High School, then had a variety of afternoon meetings. CCSD's literacy team is calling themselves LT90X! On Monday I have an early morning parent meeting, I’ll attend a Literacy Team PLC (LT90X), and meet with director of human resources Misty Manchester and director of student support services Paula Buser about potential revisions to our admin salary schedule for next year. In the afternoon I’ll work independently on preparations for a board of education self evaluation process, and attend our board work session and regular meeting. On Tuesday we have a SAC meeting in the morning, I’ll present information about major improvement initiatives to the Cañon City Noon Lions Club, I have scheduled afternoon work time at McKinley Elementary School, and I will stop in to check on Cañon Exploratory School’s Culture Night. On Wednesday I meet with district literacy coordinator Gina Gallegos about how we will evaluate our new literacy coaches, I have a meeting with a representative from SolVista Health, and I’ll conduct afternoon office hours at CCHS. On Thursday I’ll be in Denver to participate in a state level education visioning meeting, and on Friday I’ll meet with director of instruction Adam Hartman to finalize his work goals for this school year. I’ll also conduct office hours at Cañon Exploratory School.